The episode will air Sunday, Oct. 24 on ABC at 8 p.m. eastern and 7 p.m. central time. We can’t wait to see Scenery First’s magic at the Flower Show. Tags:Extreme Makeover Home Edition, Scenery First Inc. Details are evolving. Stay tuned for more! 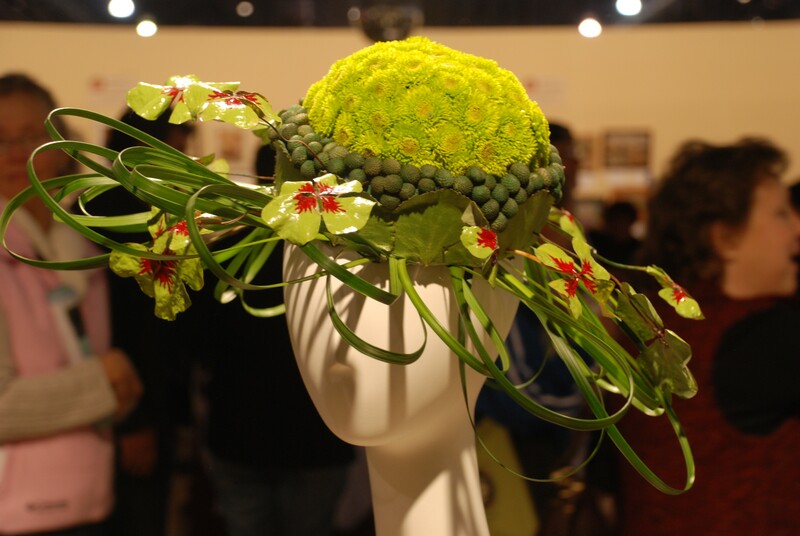 Have you been fascinated by the intricate “floral” jewelry at the Philadelphia International Flower Show? 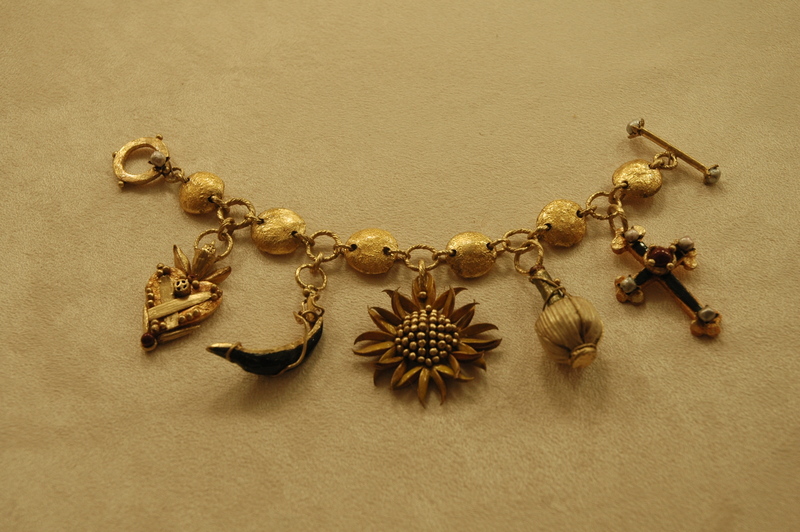 Join PHS for a free Jewelry Workshop this Saturday, October 23 from 10 a.m. to 1 p.m. at Abington Township’s Meadowbrook Farm. The 2011 Show’s Jewelry Class chairs will discuss how to create and enter jewelry designs made from natural plant materials. An assortment of tools and materials will be available for participants to experiment with different techniques. The workshop is free and open to all. No experience is required. Please bring a bag lunch. Contact Michelle Dean mdean@pennhort.org; 215-988-8827 to reserve your place. By the way, Meadowbrook’s grounds and house will be gorgeous with changing leaves this weekend. Check out the nursery and plants galore, of course. 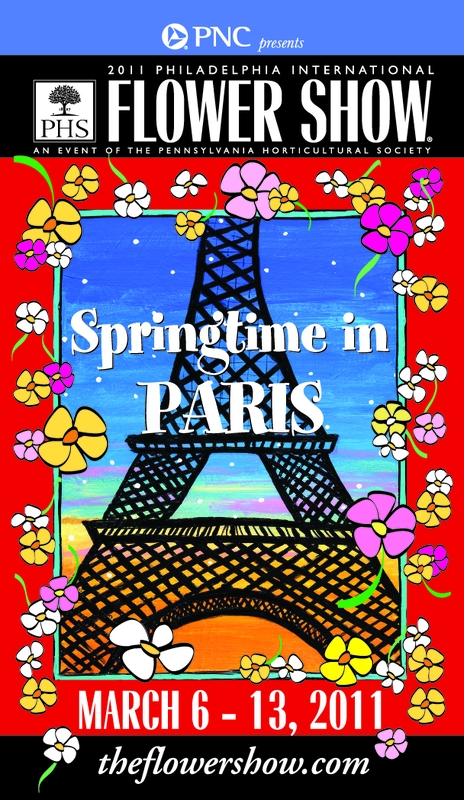 For more information about the 2011 Show, “Springtime in Paris,” please visit here. 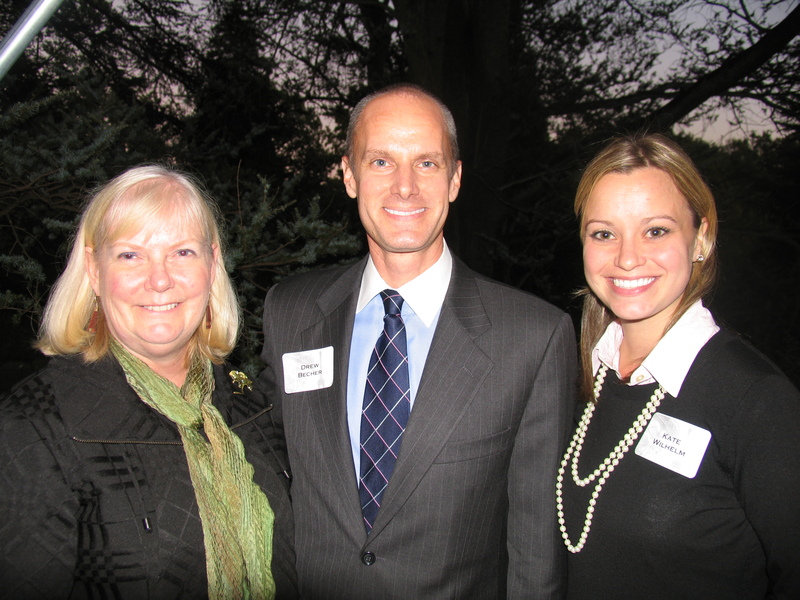 We had the honor of catching up with Tom Morris from J. Downend Landscaping recently, which was invited back to the Philadelphia International Flower Show for its expertise. 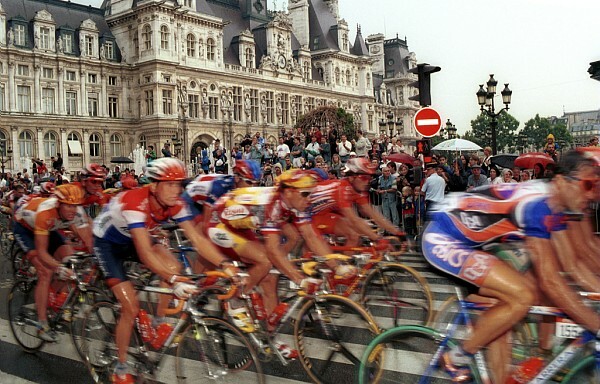 This Crum Lynne, Pa.-based company will take show guests on “Tour de France” with a lighthearted interpretation of the world-renowned bicycle race. A streetscape garden will showcase French culture including art, culinary influences, architecture and sports to name a few. “Our garden will represent a cross section of the experience a visitor to France may bring home with them,” Morris told us. We can’t wait to see it. Let’s just say a metal sculptor and an aquatics designer are working out ways to make rain, a builder and a plantsman are determining how to suspend trees in mid-air and an artist and a lighting specialist are figuring out the best way to replicate a Parisian sky at night. Many details to come. Here comes the rain. 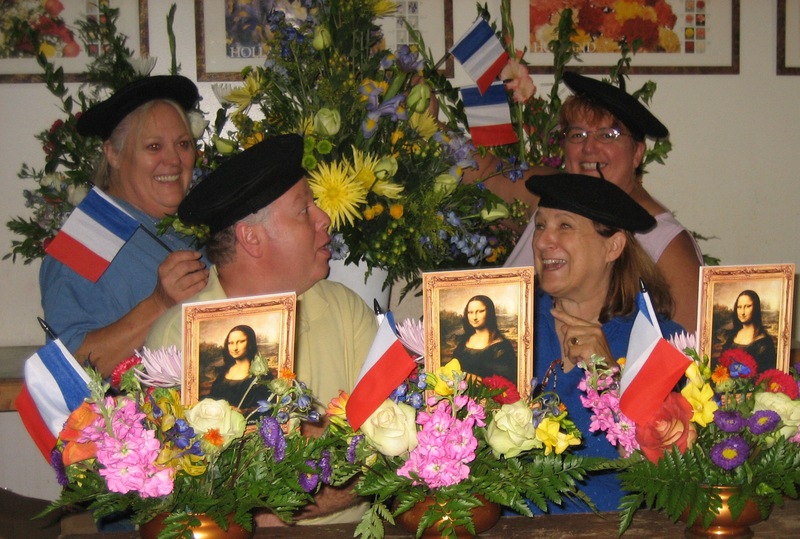 PHS will hold a series of workshops in preparation for the 2011 Philadelphia International Flower Show, “Springtime in Paris,” March 6-13. Workshops are free and open to Flower Show exhibitors as well as arrangers who want to learn about entering the Show. No reservations are required. Bring a friend! Workshops will be held in Penllyn, Pa., at the Lower Gwynedd Township Park Building in Penllyn Woods. Programs start promptly at 10 a.m. Coffee will be available beginning at 9:45 a.m. Programs will end by noon. 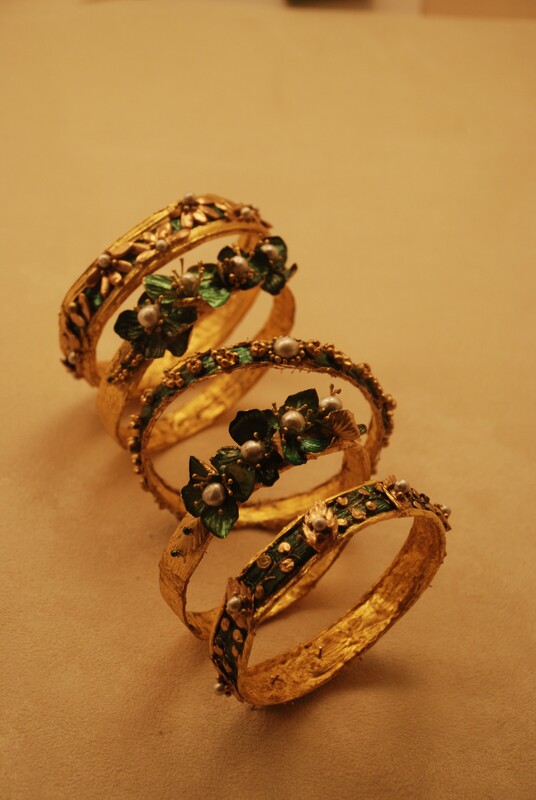 edge” in French Floral Design will be a not-to-be-missed inspiration for this year’s Show. 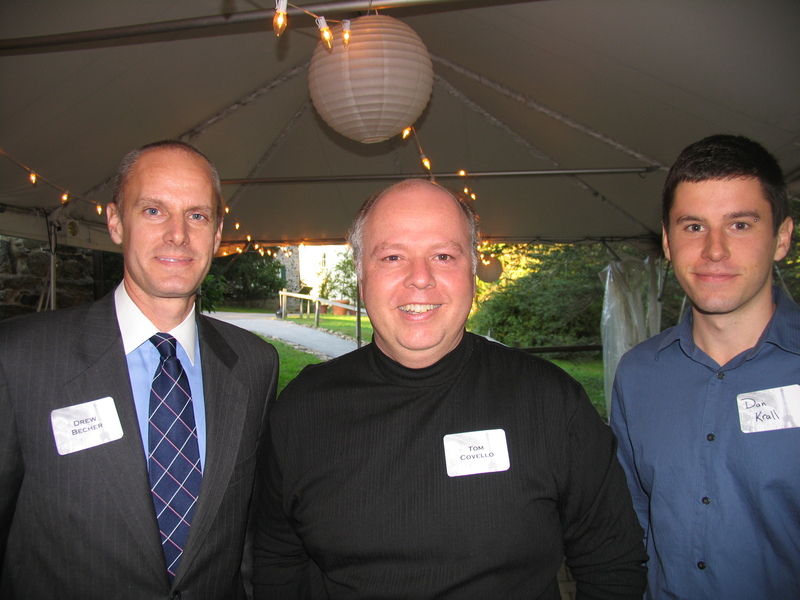 We had a great time last night catching up with major landscape and floral designers for the 2011 Philadelphia International Flower Show, “Springtime in Paris,” at Tyler Arboretum in Delware County. We heard tid bits about plans for major exhibits including a little Parisian opera, topiary sailboats, “walking on water” and more. 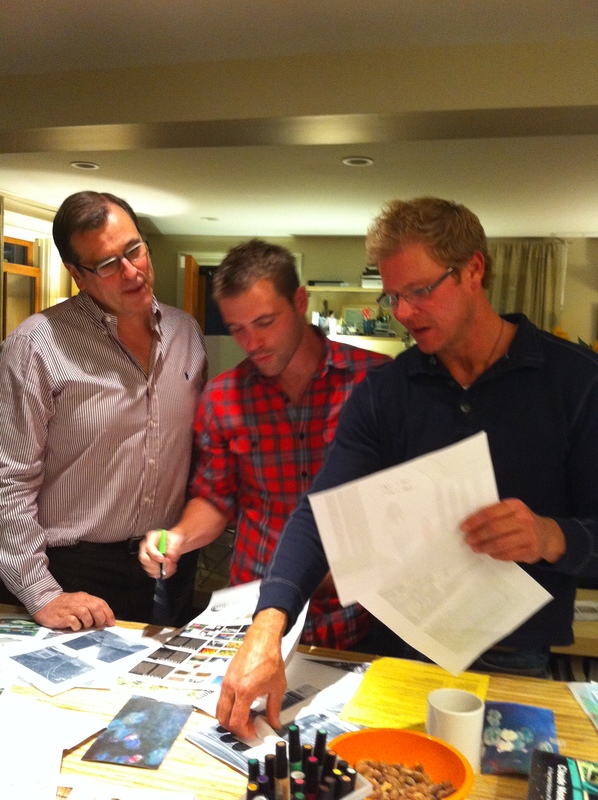 Drew Becher with Celebrations Design Group's Tom Covello and Dan Krall. Celebrations Design Group will be exhibiting for its third year. 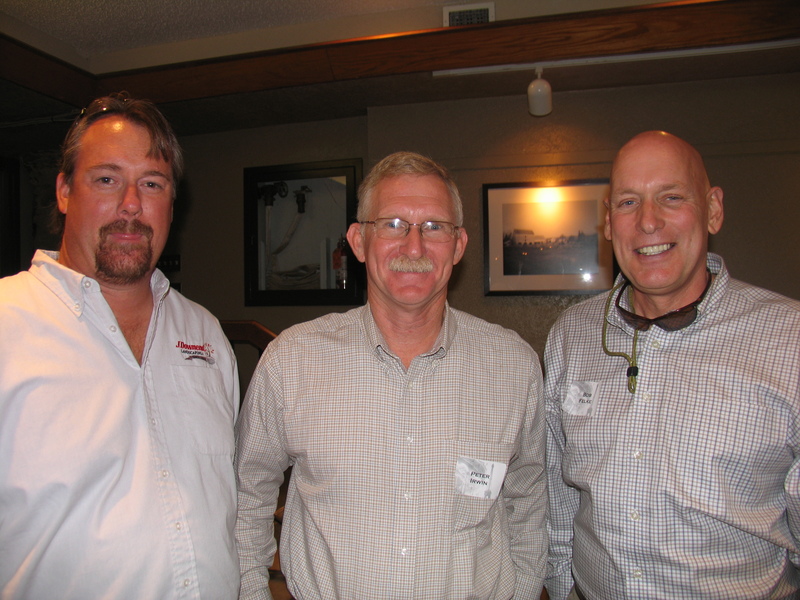 Exhibitors Tom Morris from J. Downend Landscaping, Peter Irwin from Irwin Landscaping and PHS Shows Operations Manager Bob Felke. Both J. Downdend and Irwin will be bringing their best to the Show in 2011. 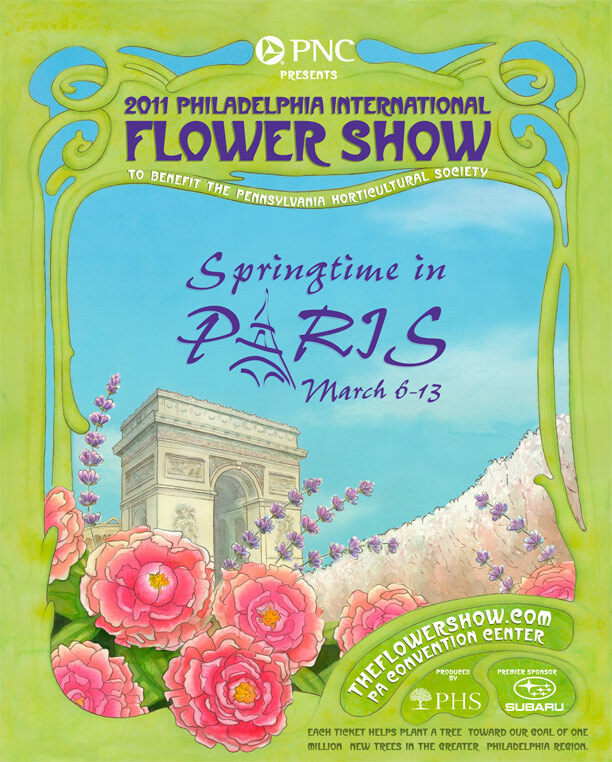 As we plan for the 2011 Philadelphia International Flower Show, “Springtime in Paris,” we are looking forward to this spring’s Philadelphia International Festival of the Arts. The Festival, inspired by the Kimmel Center and to feature Paris 1910-1920 and the creative spirit of the time, will be held April 7 – May 1. Organizers will kick off ticket sales with a ceremony tomorrow starting at 10:30 am at the Kimmel featuring the national touring cast of JERSEY BOYS as well as acknowledging the collaboration of the festival’s 128 partner organizations. A PIFA Truck, complete with costumed representatives of some of the festival’s event categories (food, fashion, dance, theatre and art), will visit four neighborhoods, offering chances to win a pair of tickets to the festival’s opening night gala and performance. The 2011 Philadelphia International Flower Show will be held March 6-13, 2011 at the Pennsylvania Convention Center. 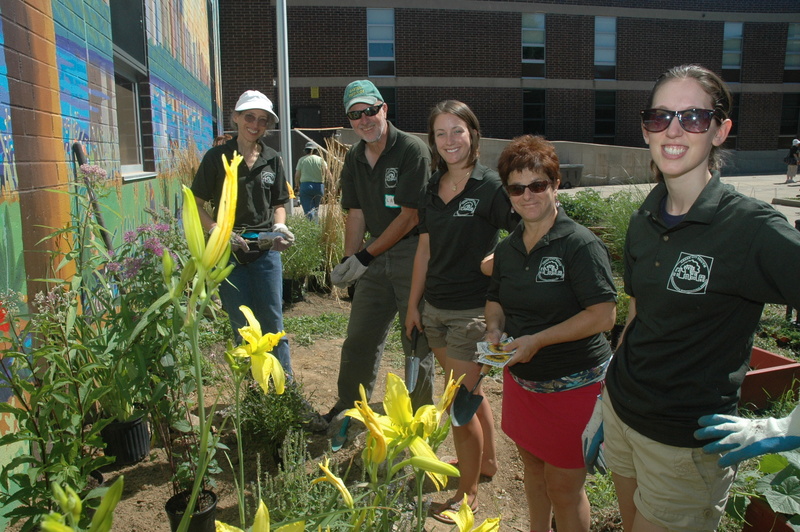 The Pennsylvania Horticultural Society is looking for Green City Teachers this fall. Thursdays, October 21 and 28 and November 4 and 11 from 5:30 p.m. – 8:30 p.m. and Saturday, October 23 from 10 a.m. – 2 p.m. This course will encourage Philadelphia educators to integrate horticulture and environmental education into their classrooms as they participate in a forum for sharing ideas. 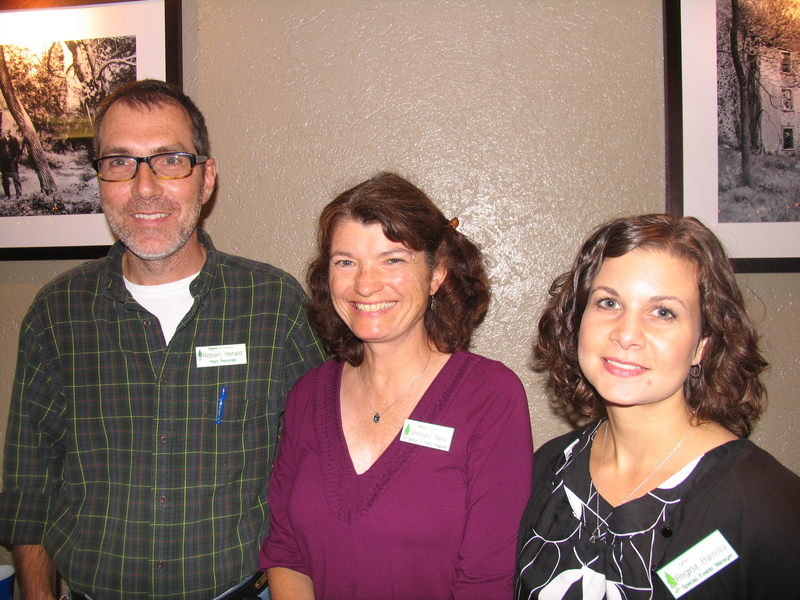 Topics include Basic Horticulture, Food Gardening, Trees, Indoor Gardening, and Habitat Gardens. Up to 16 hours of Act 48 credit are available. To register online, visit here. Online registration fee includes an additional $2.09 handling charge. 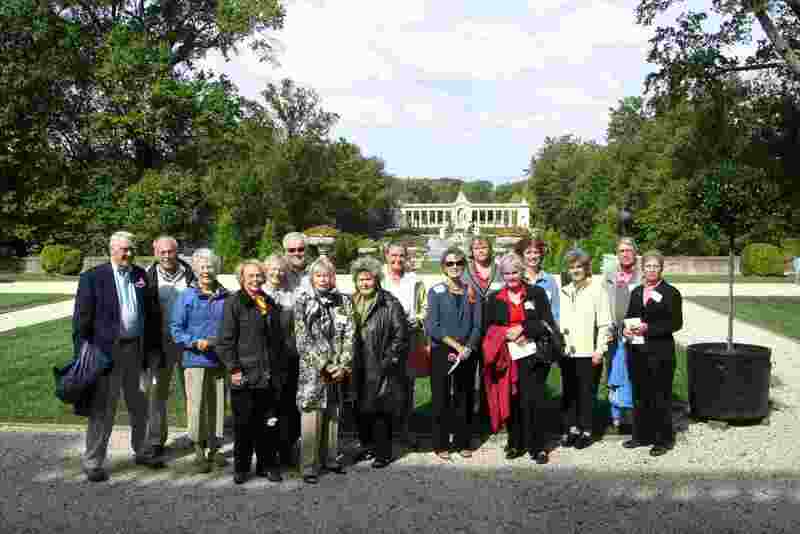 Eighteen members of PHS’s 1827 Society spent a lovely day at the Nemours Mansion and Garden in Wilmington, Delaware on October 1st. At the estate, these upper-level PHS members received a tour of the newly restored mansion, home of Alfred I. du Pont (1864-35), which was recently returned to its early-20th century glory in a $39 million restoration. 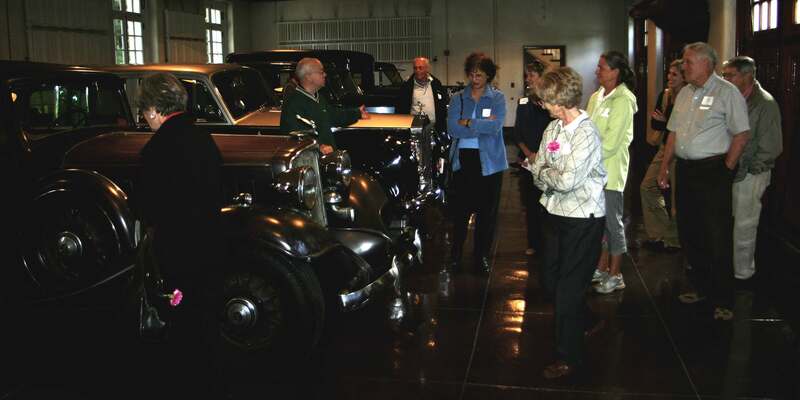 The group was then given a van tour of the gardens and 300-acre grounds, culminating in a visit to the garage where Mr. and Mrs. du Pont kept a pristine collection of vintage automobiles, including a rare Rolls Royce. The mansion was designed roughly one hundred years ago to evoke the architectural style of Versailles and other 18th century estates. Its name, Nemours, was derived from the ancestral du Pont home in France. The estate’s strong French theme through also brings to mind the upcoming 2011 Philadelphia International Flower Show, Springtime in Paris. As part of the 1827 Society, these upper-level PHS members are invited to special tours, events, and behind-the-scenes activities all year long, and the Nemours trip was certainly one that will be long remembered. To become a member of the 1827 Society, click here to learn about benefits and how to join. Eighteen members of PHS’s 1827 Society spent a lovely day at the Nemours Mansion and Garden in Wilmington, Delaware on October 1st. These upper-level PHS members are invited to special parties, tours and events all year long, and the Nemours trip was certainly one that will be long remembered. The mansion was designed roughly one hundred years ago to echo the architectural style of Versailles and other late-18th century estates, while its name—Nemours—was derived from the ancestral du Pont home in France. The estate’s strong French theme through also brings to mind the upcoming 2011 Philadelphia International Flower Show, Springtime in Paris. They received a tour of the newly restored mansion, home of Alfred I. du Pont (1864-35), which was recently returned to its early 20th century glory in a $39 million restoration. Then, the 1827 Society guests were given a van tour of the gardens and 300-acre grounds, culminating in a visit to the garage where Mr. and Mrs. du Pont kept a pristine collection of vintage automobiles, including a rare Rolls Royce. 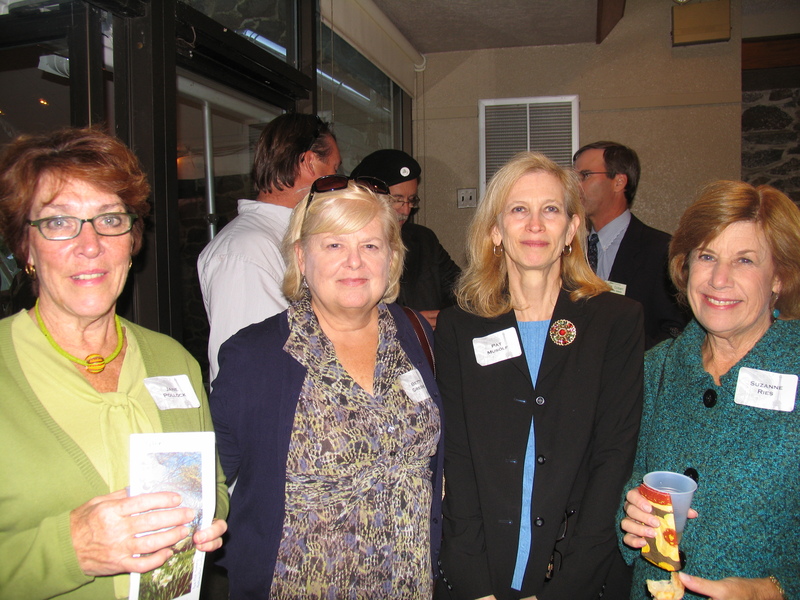 If you want to join the fun as a member of the 1827 Society, click here for more information. m the ancestral du Pont home in France. 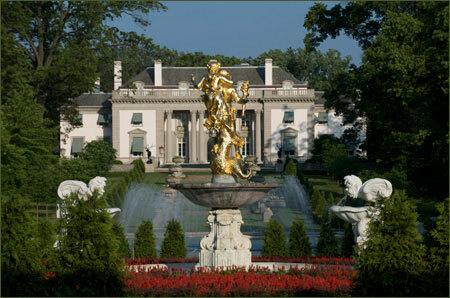 The estate’s strong French theme through also brings to mind the upcoming 2011 Philadelphia International Flower Show, Springtime in Paris.